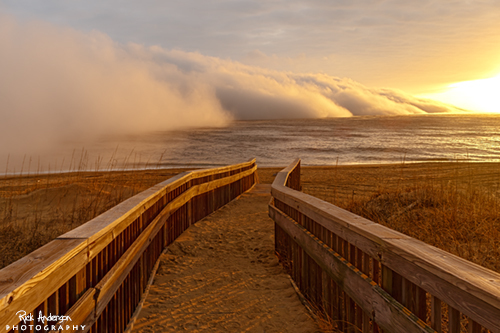 A Strong frontal passage shortly after sunrise in Kill Devil Hills, NC. You can denote the front by the appoaching marine fog just offshore. Pretty awesome to see!